The Beacon of Hope Award honors an optometrist or ophthalmologist who demonstrates an outstanding commitment to vision healthcare to the uninsured in his or her community. The award is open to all optometrists and ophthalmologists in Georgia, regardless of partnership with the Georgia Lions Lighthouse Foundation. Commitment to providing vision services to Georgians in financial need. Willingness to partner with nonprofit organizations to provide care. Winners will be chosen by a panel of vision care advocates. The Lighthouse will provide the award and collect applications. 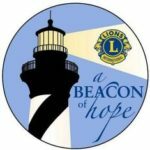 The Beacon of Hope Award is open to all optometrists and ophthalmologists in Georgia, regardless of professional affiliation or partnership with the Lighthouse, and honors an eyecare professional who provides an outstanding commitment to vision healthcare for the uninsured in his or her community. Beyond the recognition associated with the award itself, the successful nominee will be publicly recognized via press release sent to his or her local newspaper and receive a personalized lead crystal bowl. The award will be formally presented on Oct. 18, 2018. Please select if you are nominating an Optometrist or an Ophthalmologist. Enter information about the nominee. Information about person filling out this form. The recipient’s biographical information will be highlighted in the award presentation, not used as part of selection criteria. Specifics preferred. Please list all secondary educational institutions attended, including degree awarded and any honors received. Please list professional history of nominee. Please list any awards received by the nominee in the past. Attach a personal statement describing how the nominee demonstrates an “outstanding commitment to vision healthcare to the under or uninsured in his or her community.” Please limit responses to 1,000 words. Up to four supporting documents (letters of appreciation from clients, newspaper articles, letters of recommendation, et cetera). Please upload up to two photographs.